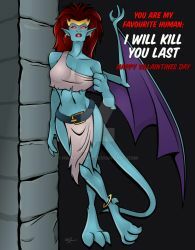 thx for your request to put my gargoyles fanart to your gallery. i'm really pleased about it. for lack of a better place, I submitted it to fanart. Never seen a crossover storyboard before. Thank you so much for requesting my art. I hope you bros know what the month of October is..